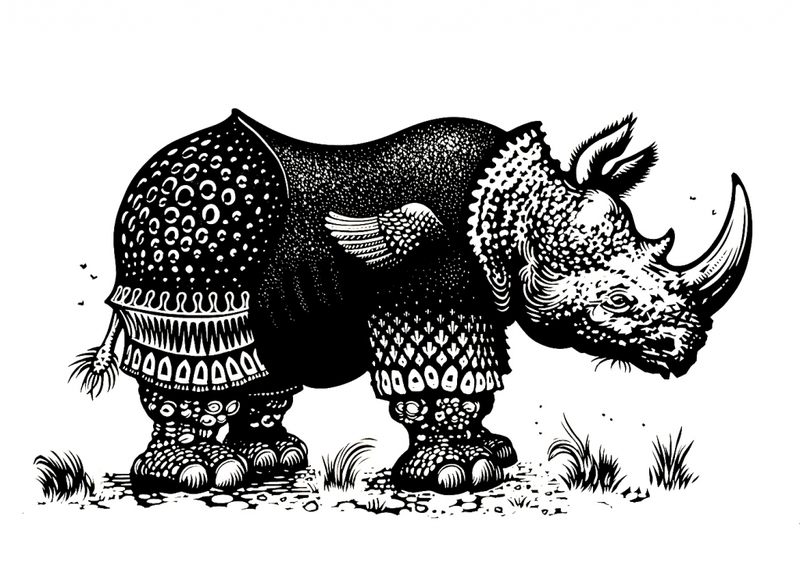 We’re very pleased to be showing Nick Morley’s new linocuts until May 28. An imposing image of a sperm whale dominates a space where animals—fantastical, mythological, anecdotal—are represented and reflected through a human gaze. 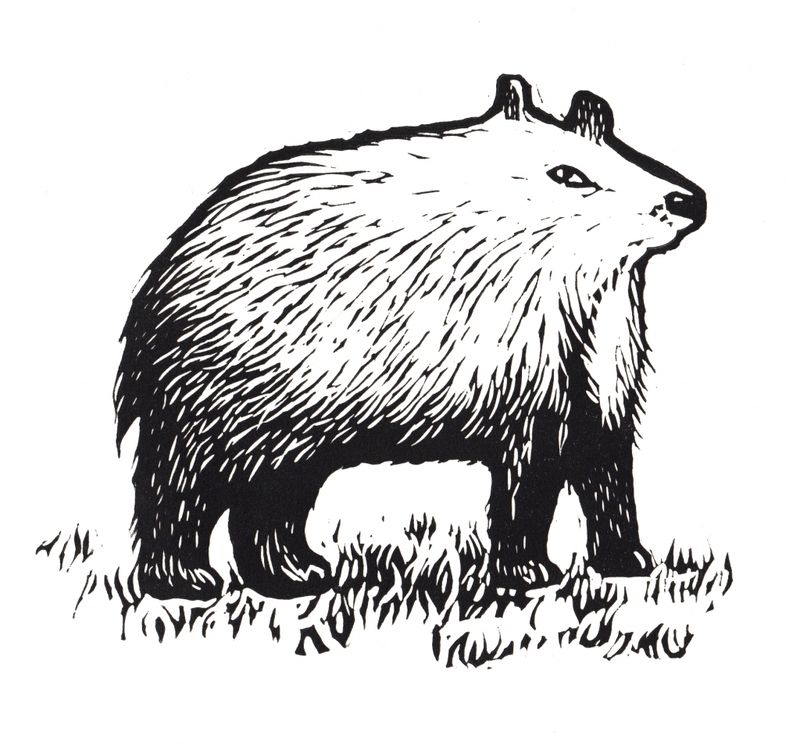 Nick Morley, aka Linocutboy, makes linocuts drawing on a rich and diverse history of printed images, from Thomas Bewick to the Beano. His irreverent sense of humour pervades the works, often disguising their darker origins. The enormous Whale print, for example, which measures almost six foot, was made as a sort of memorial after a number of mysterious sperm whale beachings. Rhinoceros (after Dürer) has a similarly sad history, the original subject having drowned at sea whilst being transported across Europe in 1516. Natural History prints have had a big influence on Nick’s recent work. Early studies were often based on written descriptions, poorly preserved specimens and existing artworks. The artist’s imagination had to fill in any missing information, leading to distortion, decoration and sometimes pure fantasy. Our knowledge of the natural world is now much greater but gaps still remain. As species become extinct in ever greater numbers, we will, once more, become reliant on the the evidence of others to imagine how certain creatures once appeared in the flesh. 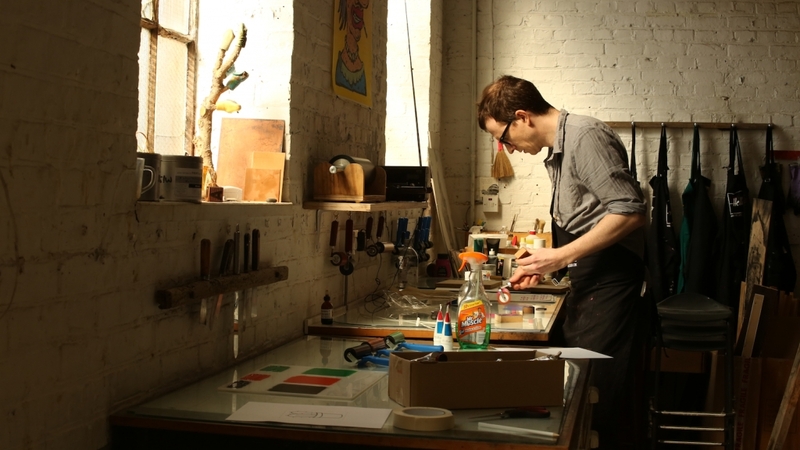 As well as making prints, Nick runs Hello Print Studio in Margate, where he teaches linocut, screenprint and letterpress. He has exhibited and taught internationally and his work is widely collected. His book, Linocut for Artists and Designers, was published in 2016.